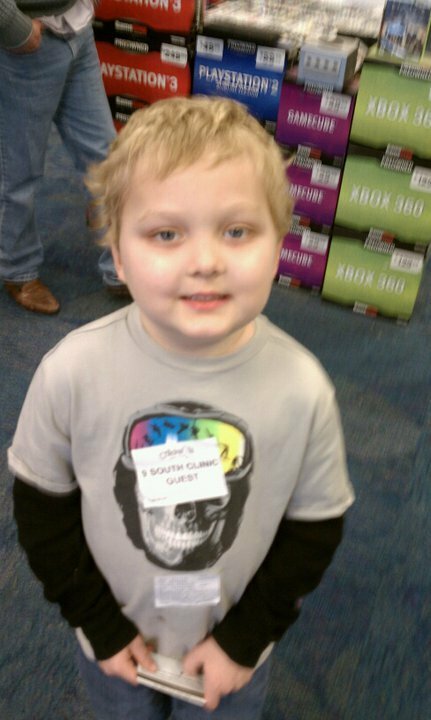 Friends of Kids with Cancer | Shopping Trip to Gamestop, Every Boy's Dream! We would like to thank Friends of Kids with Cancer and all of the generous people who make your program a reality. He really enjoyed his shopping trip to GameStop, as you can see in the pictures. Thank you again for making his day!